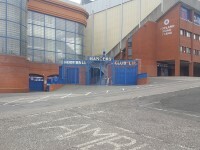 You are on Outside Access (Argyle House Entrance). Skip to the next section. 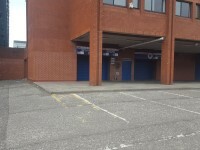 This information is for the entrance located at the front of the Sandy Jardine Stand. 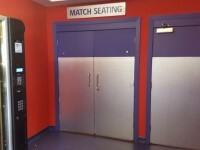 When both doors are unlocked the door width is 160cm, please contact the venue in advance if you need both doors open. 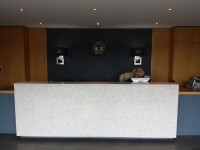 You are on Reception (Argyle House). Skip to the next section. 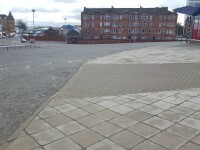 The reception point is approximately 3m (3yd 10in) from the Argyle House Entrance. 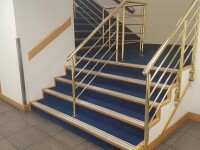 The stairs are located to the right as you enter the reception area. 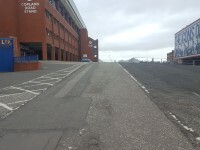 The stairs are approximately 15m from the Argyle House Entrance. 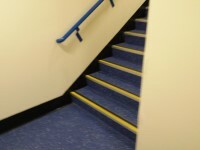 The floors which are accessible by stairs are G-3-4. 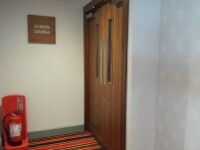 The lift is located to the right as you enter the reception area. 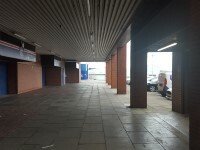 The lift is approximately 14m (15yd 11in) from the Argyle House Entrance. 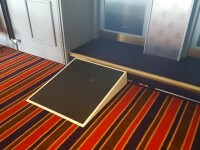 The floors which are accessible by this lift are G-3-4. 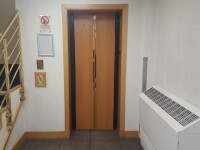 The dimensions of the lift are 110cm x 110cm (3ft 7in x 3ft 7in). 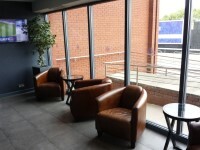 You are on Eating and Drinking (Third Floor - Bar 72 East). Skip to the next section. 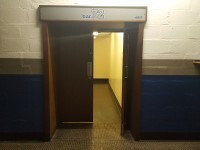 The bar is located on the third floor of Argyle House, to the left as you exit the lift. 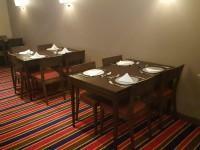 The nearest table is approximately 8m from the entrance/opening. 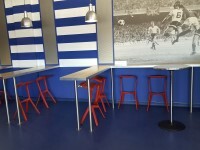 The distance between the floor and the lowest table is 100cm. 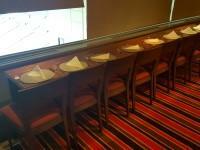 The distance between the floor and the highest table is 105cm. 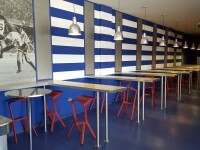 You are on Eating and Drinking (Third Floor - Bar 72 West). Skip to the next section. 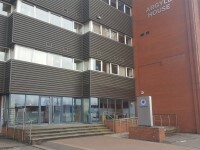 The bar is located on the third floor of Argyle House, to the right as you exit the lift. 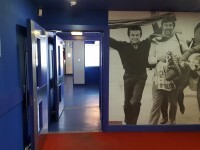 You are on Step(s) (Sandy Jardine Stand Rear Tier Concourse - Bar 72 East and West). Skip to the next section. 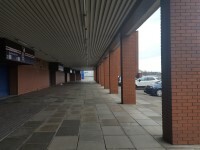 There is a/are step(s) located along the concourse. 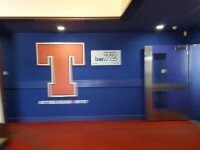 The step(s) is/are used to access Bar 72 East or West from the Sandy Jardine Stand Rear Tier Concourse. 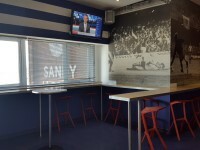 You are on Standard Toilet(s) (Third Floor - Bar 72 East and West). Skip to the next section. 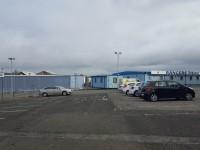 The female and male toilet facilities that were surveyed are located at the rear of the bar. 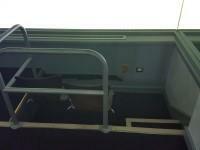 There are horizontal and vertical grab rails on both sides of the seat. 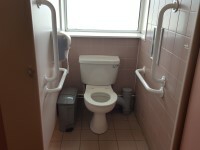 The ambulant male standard toilet within Bar 72 East has one grab rail on the right. 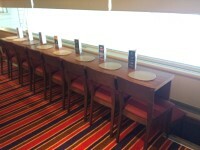 You are on Eating and Drinking (Fourth Floor - Argyle House Restaurant). Skip to the next section. 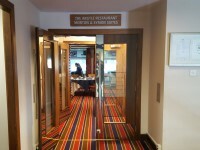 The restaurant is located on the fourth floor, ahead as you exit the lift. 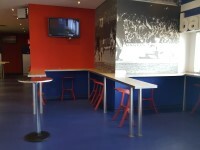 The nearest table is approximately 2m from the entrance/opening. 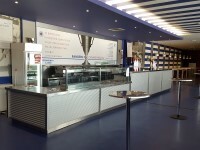 There are hand held menus and wall menus available. 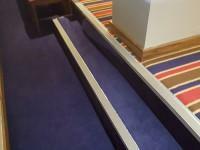 Access to the additional seating area is via 1 deep steep or a steep portable ramp. 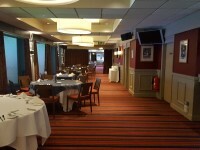 You are on Hospitality (Morton and Symon Suite). Skip to the next section. 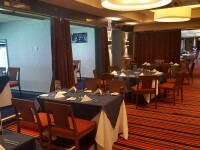 The suite is located are located either end of the Argyle House Restaurant. 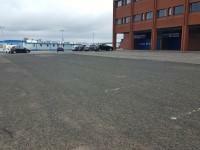 There is ramped/sloped access to this area. 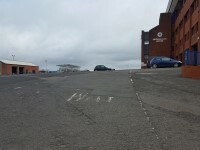 There is a slight slope leading up to the entrance. 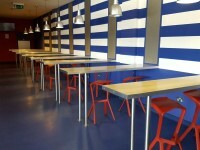 The clear floor space beneath tables in the room(s) ranges between 61cm and 70cm. 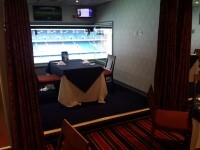 Match viewing takes place from behind glass with the atmosphere in the lounges enhanced with volume control. 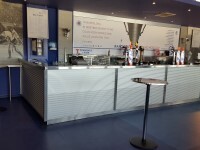 There is step free access to the tables at the rear overlooking the match viewing area. 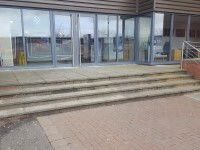 There are 2 clearly marked steps leading down to the front of the viewing area. 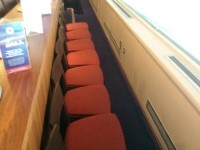 There are chairs at the front of the viewing area. 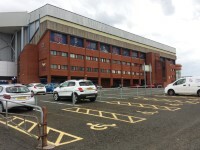 You are on Executive Boxes (Fourth Floor - Argyle House - Executive Boxes). Skip to the next section. 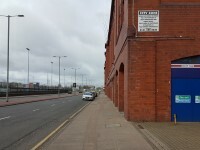 The boxes are located at the rear of the Argyle Restaurant. 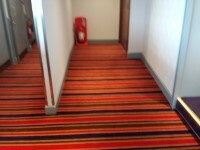 There are 27 boxes on this floor. 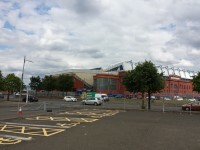 The box surveyed was 21. 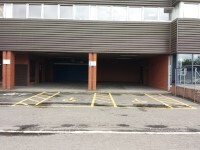 There is a/are single, heavy manual door(s) to access this area. 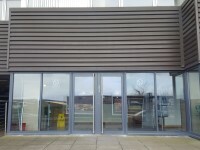 Some of the boxes have a curtain across the front of the box. 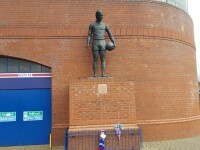 There is a deep step in front of the box. 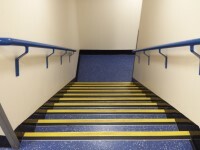 The step is clearly marked. 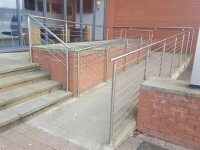 There are 2 portable ramps available to overcome the step. 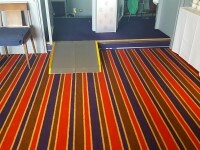 The width of the ramps are 70cm and 78cm. 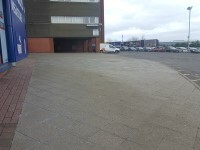 There is ramped/sloped or stepped access within this area. 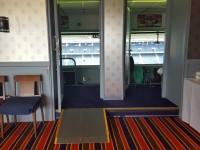 The boxes have an internal viewing area of the pitch. 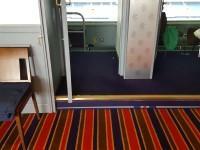 There is step free access to the rear of the box. 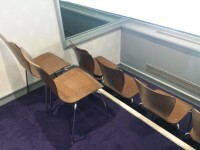 There are two steps down to front of the box. 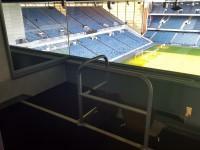 Some of the boxes have a level access viewing area at the front of the box. 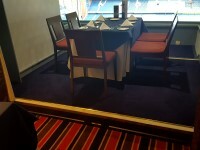 On non match days the executive boxes are used for additional Argyle House Restaurant seating. 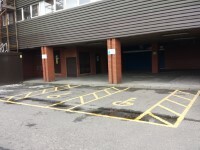 You are on Accessible Toilet(s) (Fourth Floor - Argyle House Restaurant, Boxes, Morton and Symon Suites). Skip to the next section. 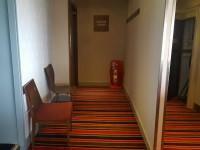 This accessible toilet is located on the fourth floor landing, ahead as you exit the lift. 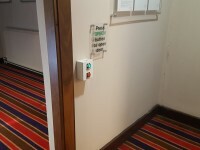 The door is push pad or push button activated. The push pad or push button is 92cm from floor level. 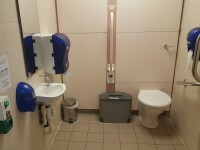 The dimensions of the accessible toilet are 155cm x 180cm (5ft 1in x 5ft 11in). 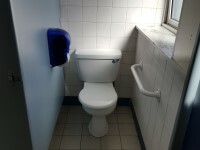 There are no vertical wall-mounted grab rails at the wash basin. 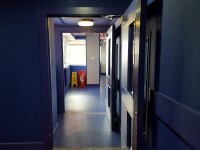 You are on Standard Toilet(s) (Fourth Floor - Fourth Floor - Argyle House Restaurant, Boxes, Morton and Symon Suites). Skip to the next section. 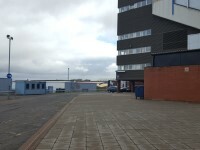 The female and male toilet facilities that were surveyed are located within the Argyle House Restaurant and next to both Morton Suite and Symon Suite. 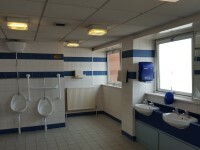 There is a lowered urinal in the male toilet(s). 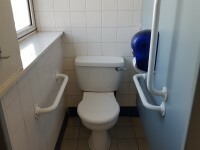 There are vertical wall-mounted grab rails on both sides of the lowered urinal. 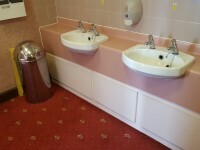 The lowered urinal does not contrast visually with the wall.